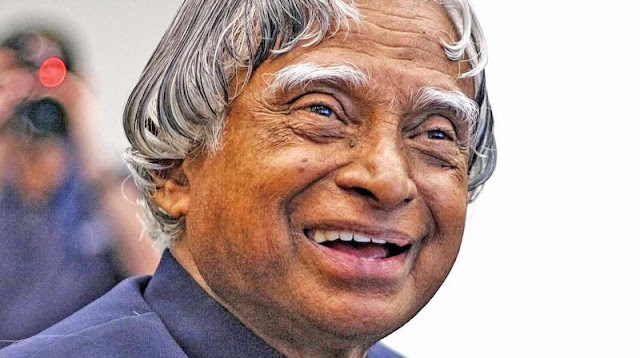 25 Interesting Facts about Dr. APJ Abdul Kalam that you probably do not know! Today is 15th of October. On this day in 1931, a legend was born! 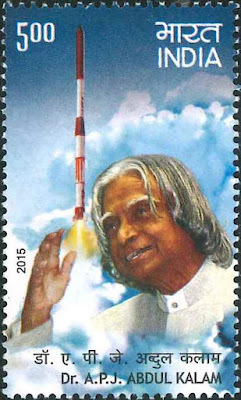 Dr. APJ Abdul Kalam is credited for the development of Missile systems in India. 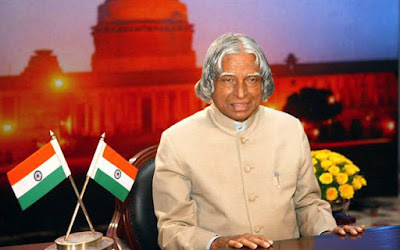 He later on became the most beloved President of India. 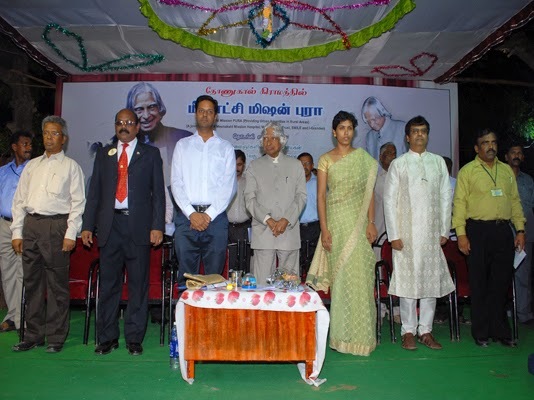 Though Dr. APJ Kalam is no more with us physically but he is still alive in our hearts. He is an unforgettable legend. 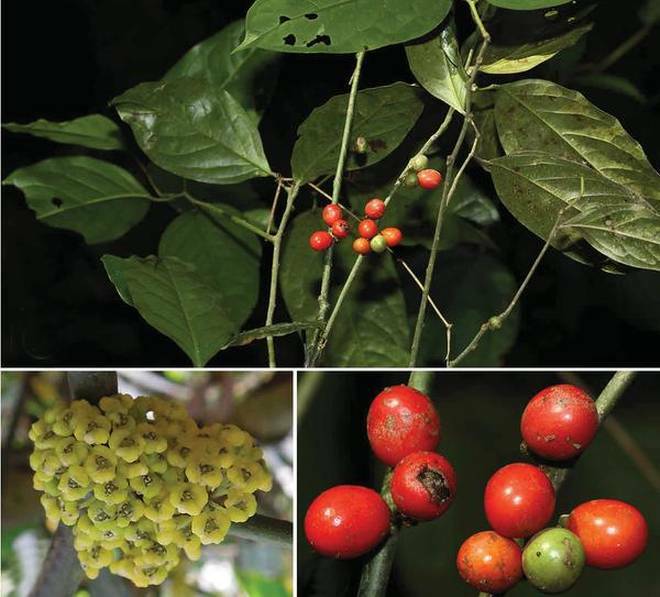 In this article you will get to know some interesting facts about him that you probably do not know! He was a religious man and he used to read both Geeta and Quran. He was a strict vegetarian. He received the Bharat Ratna in 1997. 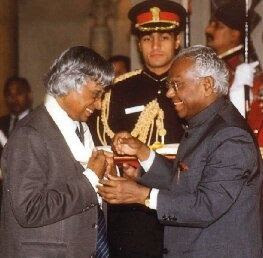 Along with Dr. Zakir Husain and Dr. Sarvapalli Radhakrishnan, he is the third president of India to have received the award before claiming the presidential post. 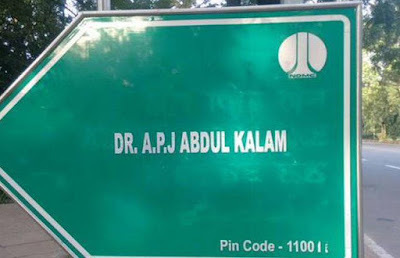 A road in New Delhi was renamed from Aurangzeb Road to Dr APJ Abdul Kalam Road in August 2105. 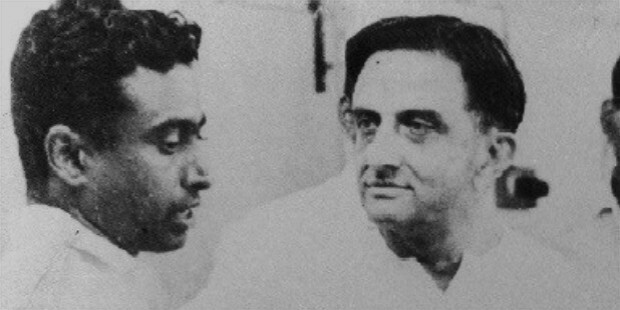 Dr. Vikram Sarabhai was his guide and mentor throughout his life. He was nominated for the MTV Youth Icon Award in 2003 and 2006. He wanted to join the Indian Air Force as a pilot but he came secured 9th place where only 8 vacancies were available. 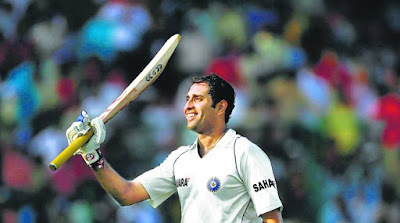 The only cricketer that he followed on his Twitter account was VVS Laxman. He also used to follow Amitabh Bachchan. 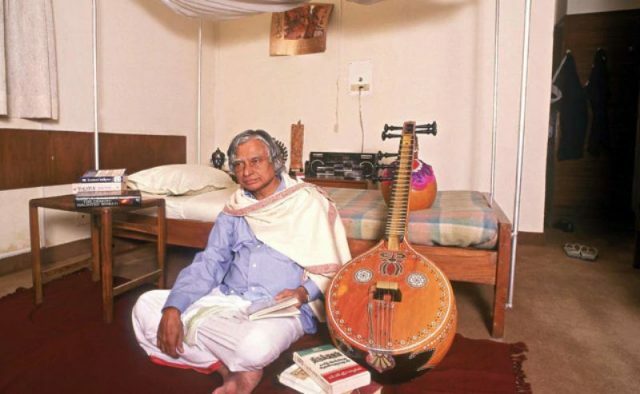 After his death, he had no property in his name other than his personal possessions including his books, a veena, some clothing, a CD player and a laptop. 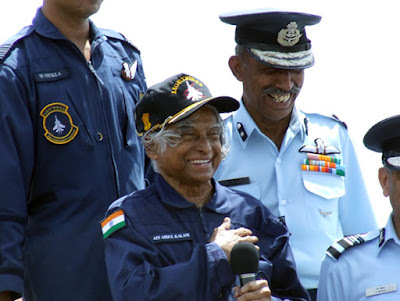 He also visited NASA in 1963 after which he went on to develop Polar Satellite Launch Vehicle (PSLV) and SLV-III projects, both of which proved to be successful. He acted on only one mercy plea in his five-year tenure as president. 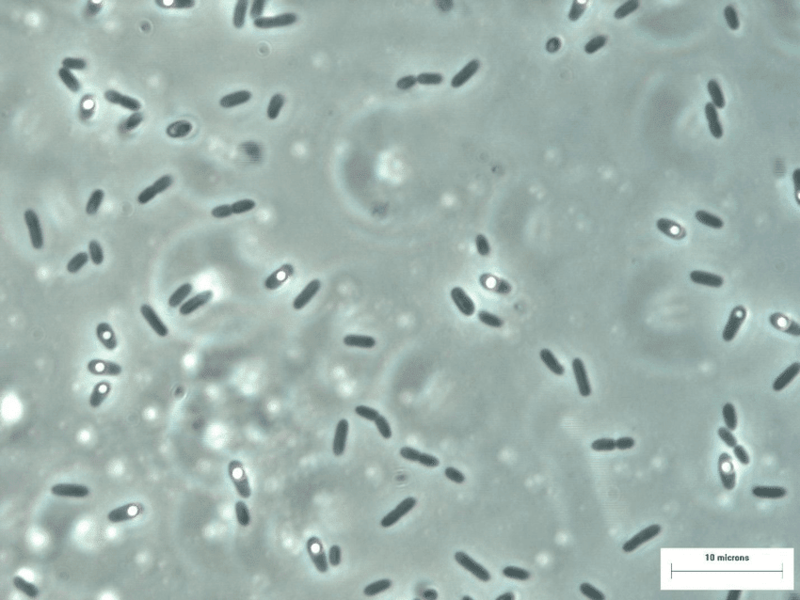 He remained unmarried throughout his life. In his autobiography, he says that he was never ready for a relationship. 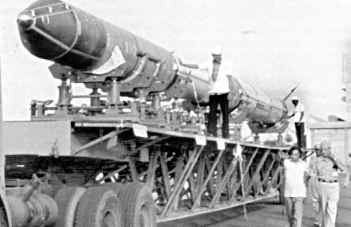 When he was director of DRDO, his colleagues in order to comfort him used to invite him for dinner or other such gatherings to which he politely refused as he didn't even want to be in a deep friendship. 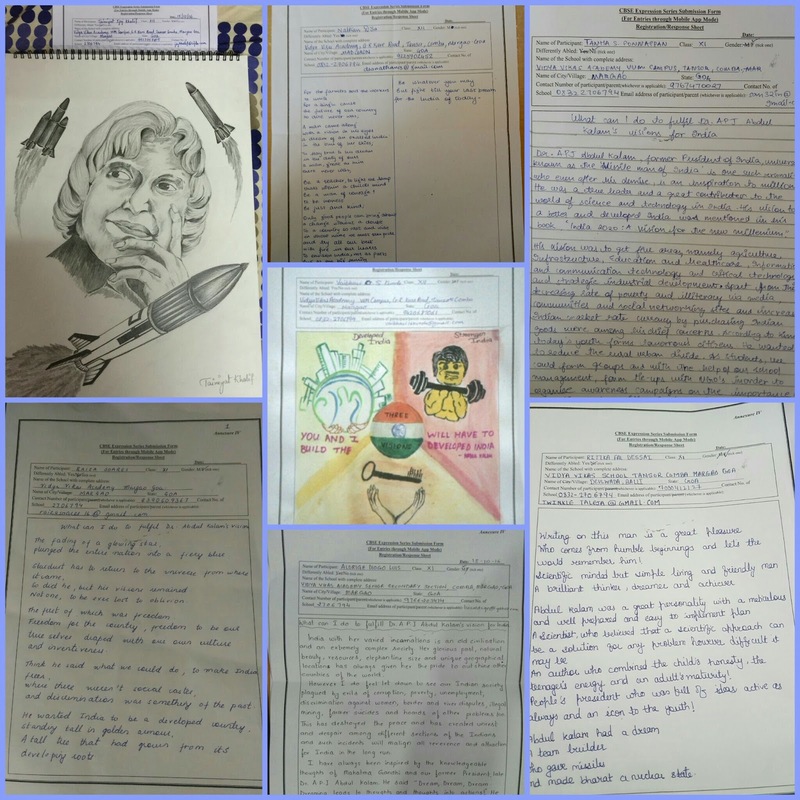 On his birth anniversary in 2015, the CBSE set topics on his name in the CBSE expression series. The Prime Minister Narendra Modi released postage stamps in his honour at DRDO Bhawan in New Delhi on 15 October 2015. Researchers at the NASA Jet Propulsion Laboratory (JPL), had discovered a new bacterium on the filters of the International Space Station (ISS) and named it Solibacillus kalamii in his honour. 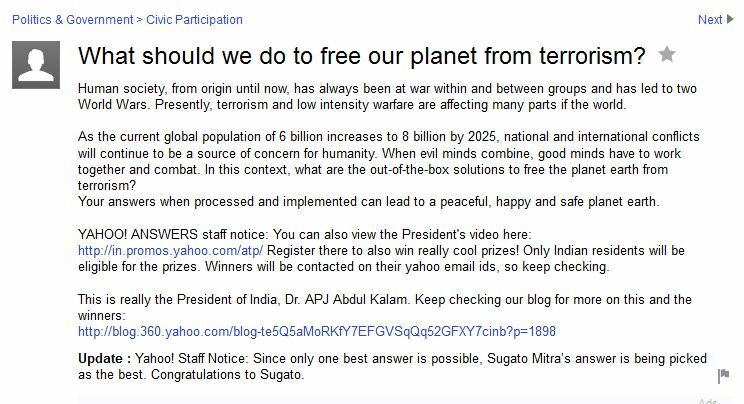 He asked, "What should we do to free our planet from terrorism?" 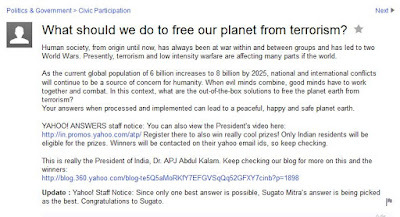 on Yahoo Answers, and received more than 30,000 answers. Throughout his life, he led a simple life even after reaching to the highest post in the country. 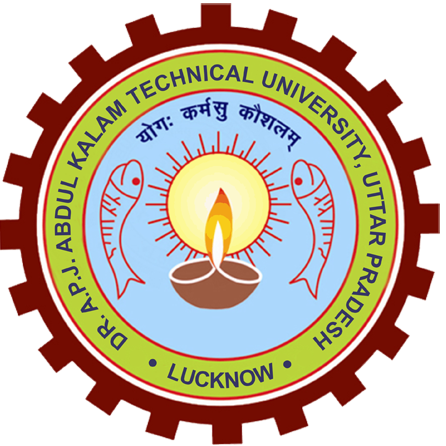 He is considered as the symbol of simplicity in India. 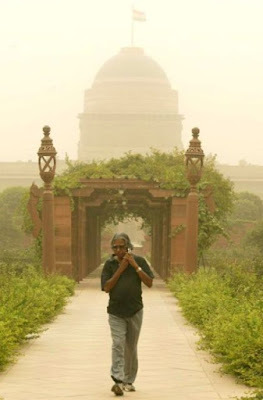 He came to the Rashtrapati Bhavan with a suitcase and left with the same. 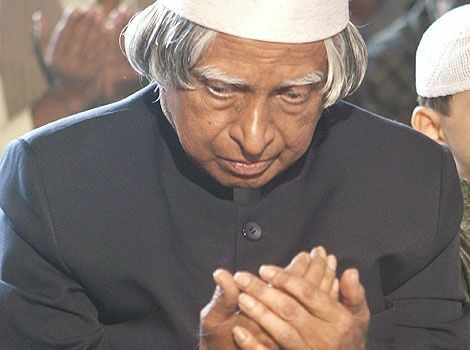 He was a passionate reader and also a writer and has authored more than 20 books, 22 poems and 4 songs during his lifetime. 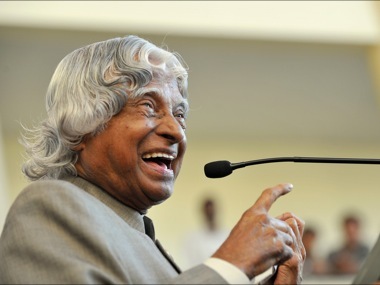 After becoming president of India, he donated his salaries and savings to a trust he had founded, called PURA (Providing Urban Amenities to Rural Areas). 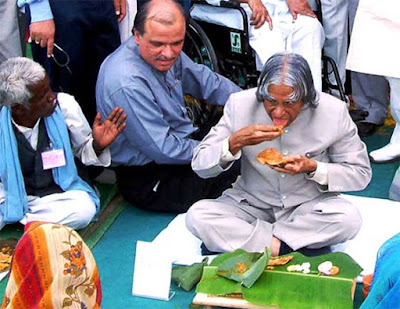 He always refused to take the larger chair that had been provided to him on the dais, and sat on same kind of chairs that others sat on. He wanted the Rashtrapati Bhawan to be solar powered but unfortunately his term ended before his proposal could be implemented. 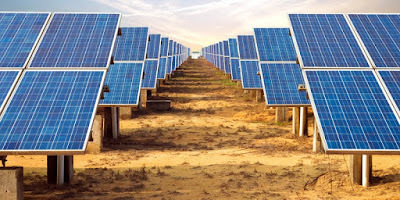 Later, he said: "I would have liked the Rashtrapati Bhavan to be the first home in India to be powered completely by solar energy. " 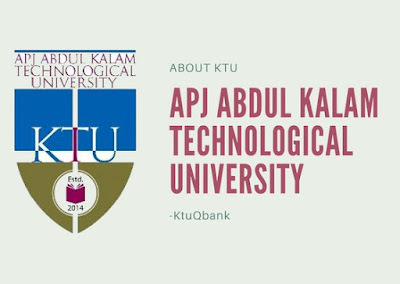 thRadical :Short notes for Competitive exams: 25 Interesting Facts about Dr. APJ Abdul Kalam that you probably do not know!